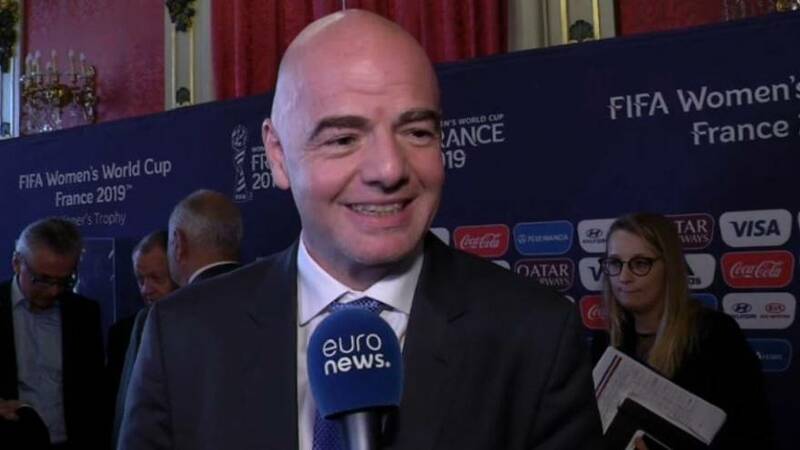 FIFA’S president Gianni Infantino has been in the French city of Lyon to present the 2019 Women’s World Cup that will be held in France. It was an appropriate choice, as the Lyon women’s side is one of the powerhouse outfits of the women’s game at club level, and the team lined up alongside him for the event. He also had some things to say to euronews about the latest men’s world cup qualifiers. “I was hearing some critical voices about the quality of football.. Before the last matches less than half of the 32 teams were qualified and in the last match and in the last minutes still some top teams have been able to secure their qualification, others are still playing the playoffs. It’s an absolute excitement, it’s completely crazy but football drives us all crazy. It’s fantastic,” he insisted. Twenty-three teams have already booked their places, so another nine are up for grabs. Some big names, like the Netherlands, have missed out, while others like Italy have to face play-off matches.